The newly rebranded products will be hitting stores throughout Western Canada in the coming weeks. Why the refresh? It might surprise many that FBC’s previous packaging had been on shelves and in coolers for four years. In this new world of craft beer, where trends change, categories evolve, and beer-styles take off, it was time for a fresh new look. Choosing which direction to go in however, was as challenging as picking your favourite Fernie brew. If you’ve seen the Craft Beer segment at your local liquor store, you’re likely to find a sea of cans and bottles competing for consumer attention. These crowded shelves are filled with packaging ranging from the loud and hectic, to the minimal and sleek. FBC was positioned somewhere in the middle, and they needed to find their own way to stand out from the crowd. At the heart of this rebrand was their desire to align their packaging with their mountain town and culture and truly convey who they are. “We’re not located in a craft beer hub. 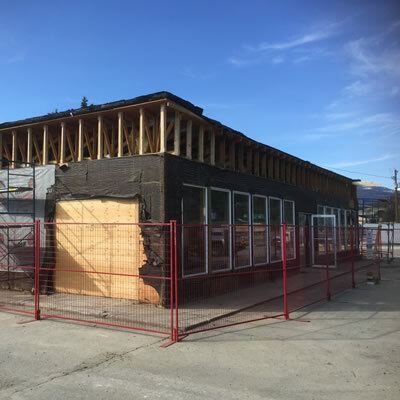 We’re located in a small-mountain town in the heart of the Canadian Rockies, an outdoor-enthusiasts paradise. It is who we are, it’s why we live here, why we brew what we brew, and our packaging needs to wholeheartedly reflect this,” says Abi Moore, Marketing Brand Manager at FBC. 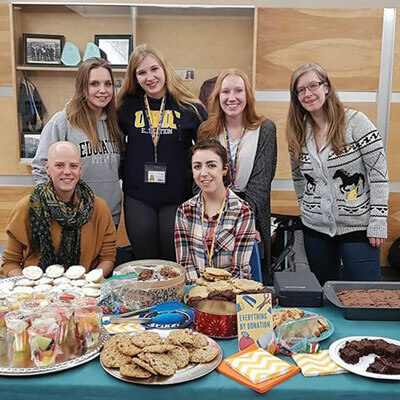 The mountain town of Fernie, once acknowledged by Rolling Stones Magazine as the Coolest Town in North America, is where you’ll find an abundance of toques, plaid-shirts and trucker hats along with world-class fly-fishing, epic mountain biking, running and hiking trails, and 20+ feet of annual snowfall. As such, this community-minded Brewery took the leap to replace their individual illustrations with a single, bold mountain ridgeline, based off the well-known Mount Hosmer – the dramatic backdrop to Fernie Brewing Co. itself. 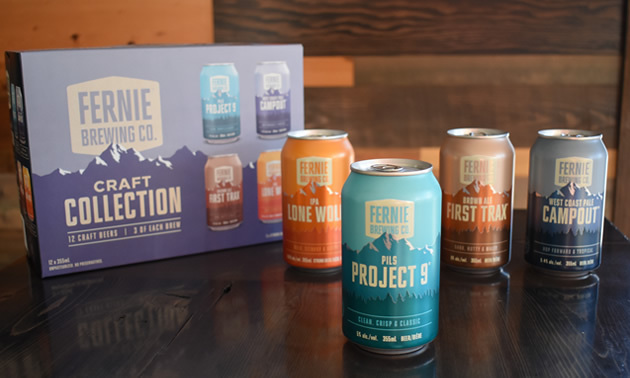 They’ve also chosen to accompany the Fernie mountain scene with a description on each can or bottle, detailing unique ingredients and the connection to Fernie’s mountain culture. With just a few seconds to catch consumers’ attention, FBC quickly realized the need to keep their brands in their existing colour spectrum, transitioning their well-known colour blocking into a more neutral trio of tones. Their flagship Project 9® Pils, has remained a bright teal, First Trax® Brown continues to hold true to brown and Hit the Deck™ Hazy IPA stays strong with nautical blues. “Rebranding is never a simple task, but it definitely can be a fun one! We spent hours researching and working with our design team at Brandever, to come up with just the right concept that fit our products and company culture. Having over 25 beer styles, we poured through colours and re-wrote beer blurbs, to make sure that each was the perfect fit. We feel the end result is clean, crisp and a true representation of both the beer within, and us as a company,” says Moore. With this large overhaul taking place, it was a chance to make a couple of other updates. Their new cans have a matte finish to them – which is pleasing on the eye and to the touch, while paralleling the award-winning, premium quality of FBC’s beer. They also took the opportunity to update a couple of names, which perhaps weren’t the right fit. 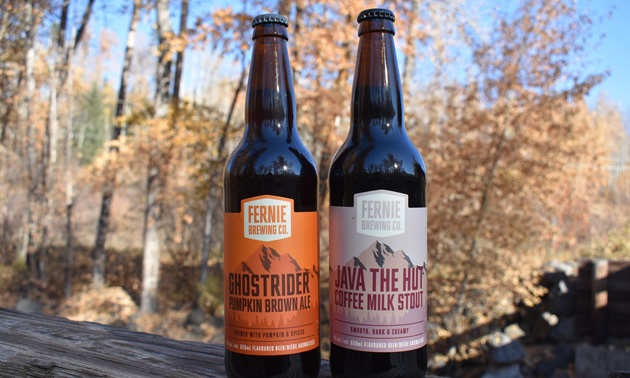 Faithful Fernie consumers may notice a couple of changes – their Pumpkin Brown Ale has been renamed Ghostrider™ Pumpkin Brown Ale, in reference to the local legend of the Ghostrider. They’ve also tweaked the name of their West Coast Pale, which is now called Campout™ West Coast Pale, (formerly Base Camp). Conveniently launching at a distinct change in season, there are also a few new products to look out for, along with a format change to their popular IPA Series – which has made the consumer-driven change from bombers to tall cans. Stratus™ Hazy IPA is a new beer, and the first to be released in this new packaging format. 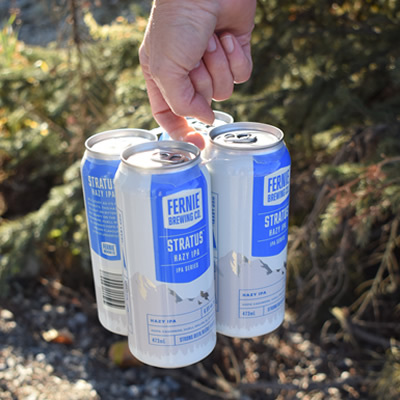 As with the majority of FBC’s products, the new 4-packs are available throughout BC, Alberta, Saskatchewan and Manitoba, at select liquor stores. 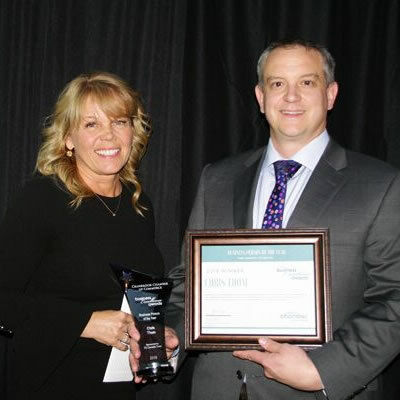 With a large portfolio and distribution throughout Western Canada, FBC has been providing an exciting sneak peak of their refreshed look over the past couple of weeks, on Facebook, Twitter and Instagram, as products roll out into market. If you just can’t wait, you can get ahead of the game and see a full view of their new packaging lineup at www.ferniebrewing.com.